If you’re contemplating a merger, be very careful about your human capital – whether you’re in government, a small business or a global company. Investment bankers salivate over the prospect of new mergers, but senior finance executives need to listen to human resources experts to insure success. The 53 largest businesses were considered sub-par just 24 months afterward. They include Boston Scientific Corp, McClatchy, and Sprint Nextel. Now, they’re valued less than for what they when the deals were struck. Yes, any financial decisions about mergers should be based on input regarding human sources. There’s another precedent for this precaution. Actually, in contemplating this topic, I was reminded of my 2002 Seattle-KING5 media column that warned about the Hewlett-Packard and Compaq merger. That was later after I spotted an online video of her biography by the unsuccessful Carly Fiorina campaign for U.S. Senate in California. The spot touts her business experience at HP, but it doesn’t mention her dismal record, especially her merger of HP with Compaq. The merger was highly controversial because she merged two cultures that were not compatible. She was eventually fired. Later, it was difficult for me to refrain from writing a “I told you so” piece in 2004. Merger fever peaked in 2007. But the next year mergers plummeted to $1.97 trillion. Finance pros are naturally concerned about money. Also at-risk are credit ratings and the improbability of profits after a merger. If you’re contemplating a merger – it doesn’t matter how big or small or whether you’re in the public or private sector – there are several precautions to take. Yes, crunch the numbers. Perform forecasts. But conduct an HR risk analysis – strengths, weaknesses, opportunities and threats. If you decide to proceed, plan and execute your strategy. Will senior managers be compatible? Will you lose key talent? How can you be sure about financial sustainability? Note: 60 percent of these pitfall questions are HR-related. People-related issues are paramount. Employees are your human capital and should be treated as assets. If you don’t pay early attention to human-capital issues, you’re risking failure. There are many elements to investigate, such as employee morale, benefits and payroll management. Not to mention information technology issues. Remember, your customers buy from you because of their relationships with your employees. If your employees are uncertain about their future, then your customers will become apprehensive about their relationship with you. 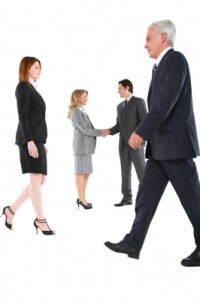 Thwart your competitors who will be savvy predators in recruiting your best workers. And understand when and what to tell your employees about possible layoffs. Its stock price dropped significantly despite good revenue and market share. It served one billion customers in 160 countries worldwide. Ranked no.14 among the Fortune 500, it employed 145,000 people and budgeted $4 billion for research and development. HP was proud of its No. 1 market share in several products: Laser jet printers, disk storage systems, ink jet printers, UNIX servers, Windows servers, storage-area network systems, Linux servers, and notebook computers. Its printer market share was 47.1 percent. It ranked No.2 in handhelds, external RAID storage systems, and desktop computers. But HP’s share price had dipped about 25 percent and the company did not appear robust. Prior to the controversial merger, Ms. Fiorina was exposed to red flags. Along with director Walter Hewlett, a son of one of HP’s founders, and 49 percent of HP shareholders, this column raised questions at that time about the merger’s feasibility. The concerns: Merger opponents were extremely vocal, the HP and Compaq cultures were vastly different, and the latter’s reputation for quality wasn’t strong as HP’s. I had products from both companies and that was my assessment, too. In fact, my firm has had a myriad of printers – black and white and color. My HP printers have always performed better than others. As Forbes’ top-ranked businesswoman, HP CEO Carly Fiorina was a charismatic salesperson. She had her ups and downs, including criticism for purchasing a $30 million corporate jet and her unsuccessful bid to buy the consulting business of PricewaterhouseCoopers for $18 billion a few years previously. Pundits complained HP had lost its focus in competing with Dell and IBM. HP’s $586 million profit for the fiscal third quarter ending July 31, 2004, which was announced on Aug. 12, was below Wall Street’s expectations. As Dell began its larger foray in the printing business, HP’s profit in its core strength, printers, dropped. Ms. Fiorina made another misstep: She was openly critical of Dell’s approach in not investing in research. Ms. Fiorina touted HP’s niche as being between Dell’s so-called low-cost products and IBM’s emphasis on costly consulting and information technology services. However, Dell’s profit jumped 29 percent and IBM was also growing and announced plans to hire 18,800 workers in 2004. HP was vulnerable because of its broad strategy in taking on such venerable foes, especially when corporate and consumer spending on technology, in general, wasn’t robust. Plus, Dell had hired away Alex Gruzen, a HP senior vice president, responsible for HP’s notebook, tablet personal computers, and personal digital assistant division. 1. Strategy and focus – public agencies and companies lose focus when the merging cultures aren’t compatible. 2. Synergy – firms at the opposite ends of the spectrum culture-wise, don’t function well as a unit, no matter how much overtime the CEO works. This also means employees don’t respond well to new leadership, which leads to a breakdown in communication and infrastructure. 3. Apathy – such internal challenges lead to ennui in company initiatives; nothing great has ever been achieved by a lack of enthusiasm or passion. 4. Decrease in competitiveness – marketplace forces seemingly weaken a company, such as HP, as it learned in facing its opponents, Dell and IBM. 5. Effects from macroeconomic events – terrorism and recessions, for example, hover as challenges. As a result, consumers and businesses will spend less on technology. Ask any government agency or business about 9/11 and the impact on their revenues. Acceptance. Just as analysts were adamantly opposing HP’s focus and its inability to discern challenges accurately and to adapt accordingly, customers will likewise become indifferent about a merged company’s products and services. The concept behind the principle of acceptance also requires resourcefulness in creating solutions to deal with reality, hidden or not. Avoiding the five pitfalls and using the three A’s for merger success will insure any company adapts extraordinarily well in a climate of change and uncertainty. But HR professionals must be consulted first.